When we talk about bead embroidery, we usually mean the elaborate beaded bezels and surfaces covered with lots of seed beads. 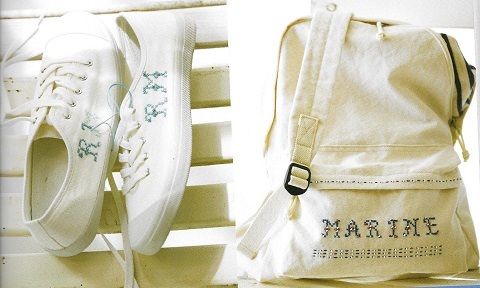 Did you know there is another version of bead embroidery, one that is delicate and perfect for embellishing clothing, bags, hats, fabric based home decor and even canvas shoes? 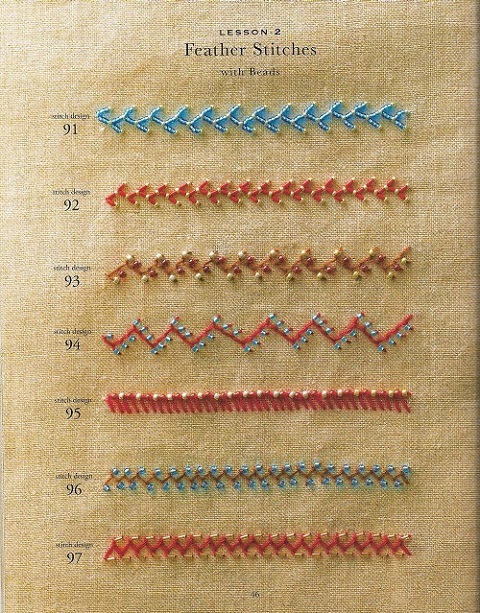 I recently received this book for review : Bead Embroidery Stitch Samples . It is an Interweave/F+W publication. The Japanese authors are CRK Design (a 6 member graphic design team) and Yasuko Endo who is a crafts and home decor designer. Their book is an exquisite guide to a large variety of embroidery stitches all of which integrate seed beads in their execution. 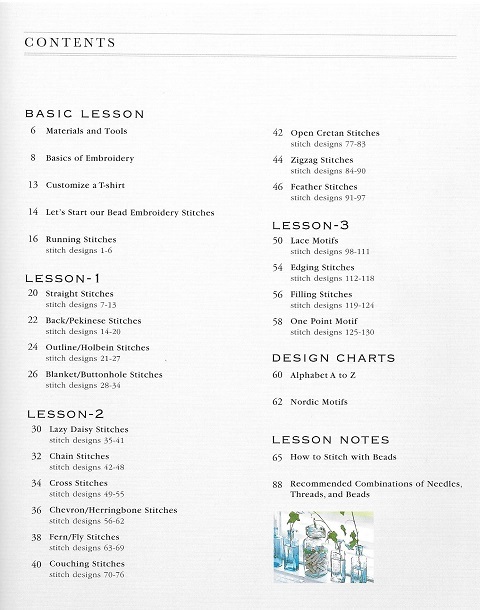 The stitch samples themselves make up the 3 main lessons or sections of the book. Each sample page is accompanied by the pictorial instructions. 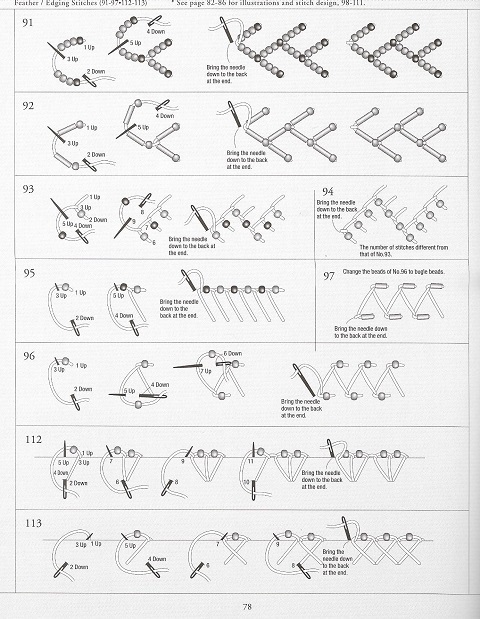 The Lesson Notes at the end of the book goes into more detail on each step of the needle action. What appealed most about the book were the beautiful examples of how the bead embroidery stitches can be used on actual garments and other accessories. 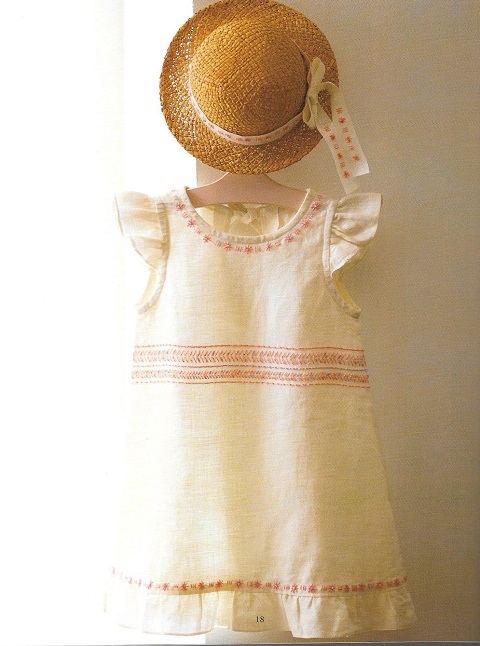 This little girl's dress with the matching bead embroidered hat ribbon is adorable. 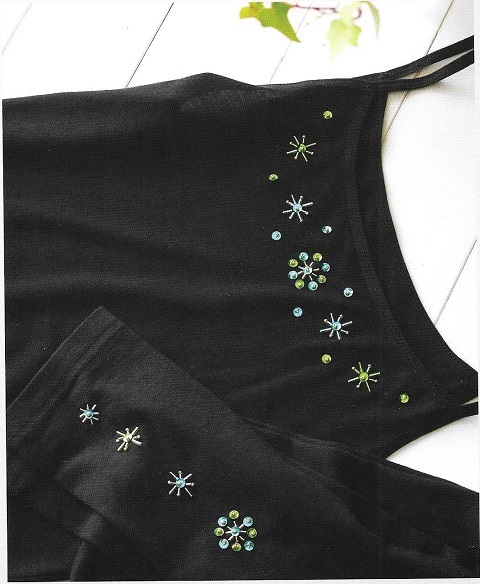 The elegant motifs from the stitch samples were used in clothing hems and necklines. Home decor ideas include decorating curtains, table cloths and even an umbrella (not shown)! 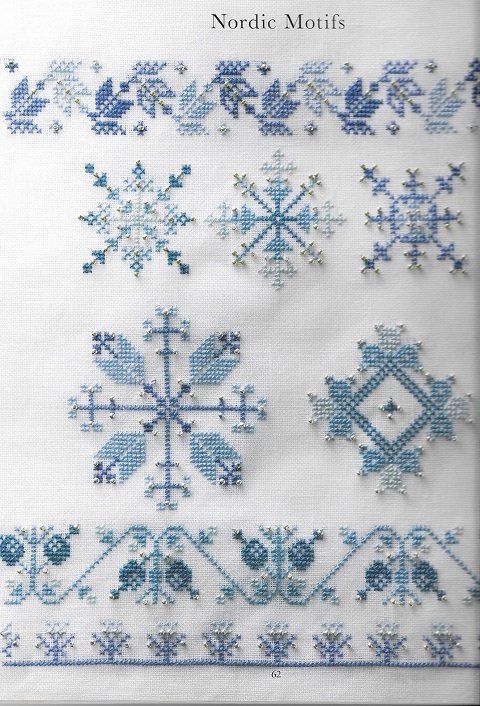 There were also design charts such as the snowflake and floral elements in the Nordic Motifs page. 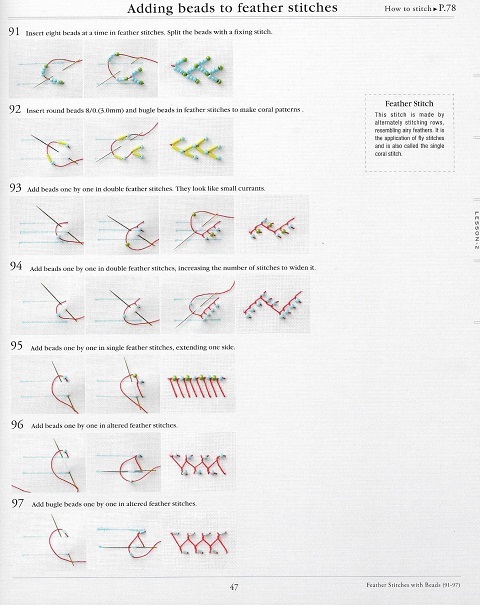 The Alphabet design chart was also outstanding. This book is an excellent guide for those who enjoy embroidery and wish to take it up several notches. Truly inspirational in showcasing what embroidery thread and small seed beads can do to turn something ordinary into something exquisite. If you'd like to win a copy of Bead Embroidery Stitch Samples please make a comment below. Make sure you leave contact info below if you do not have an online shop or blog. It ends in a week's time at 6 pm EST Monday, December 28 , 2015 . I will pick the winner randomly and announce the results as soon as possible after. So be sure to leave a contact email if you don't have an online link or make sure you come back and check! Otherwise I will redraw in a week. Good luck! Just starting to learn bead embroidery and this book looks very helpful for myself and our bead group. We share ideas and help each other along the way. Thanks for consideration. Oh My! What beautiful ideas! I think bead embroidery is absolutely gorgeous!! What a great book this would be!! This looks like a book I really need. I already do embroidery but learning how to add seed beads would be fantastic! I would love to win the book. I would love to add this book to my library of bead embroidery! What a beautiful book! I have been embroidering in one way or another for a few years now. I would be thrilled to win this book so that I can expand my "bag of tricks"! 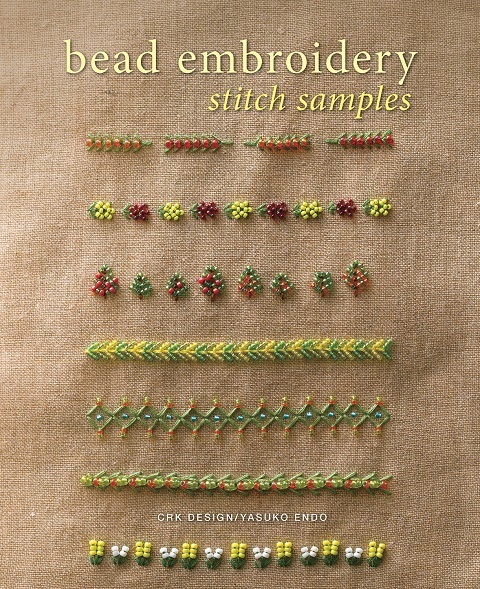 This looks like a wonderful book for beaders & embroiderers. It is full of beautiful photos & lots of ideas for using the embroidery. I would love to add this to my library. I'm a blog subscriber & follow you on FB. Thanks for everything you do to keep us informed & get our creative juices flowing. Have a wonderful holiday & best wishes for a happy, healthy 2016! You are so welcome. I wish all my readers a wonderful holiday too! Beautiful, Debbie has been wanting to try this technique. OMG!!!! I need this book!! 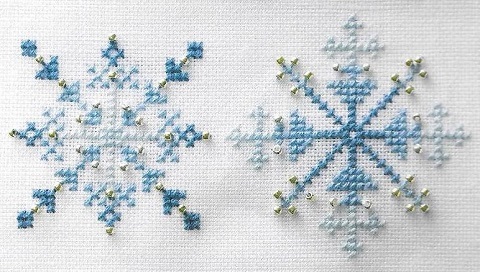 These stitch patterns are amazing!!! I would so love this book. It's in my wish list on Amazon. Bead embroidery is so much fun! I'd love to have this book for inspiration! I receive your daily e-mails. Always look forward to them. The examples shown are absolutely beautiful! What an awesome book,I would be thrilled to win it! Thanks so much for the opportunity, have a great day! wow this is a book I need ...really looks interesting and I have done very little embroidery so the book would be very helpful! great giveaway ...again! This book would be an excellent addition to my library and a boost5 in my skills. I would very much like to win this one. Happy Holidays everyone. This is a wonderful giveaway!!! what you show us is really very tempting!! I am a follower and I would love to be able to learn with this ! Lovely book, on my wishlist already. Would be cool to win it. This looks like a must have book. A perfect marriage of two things I love to do - beading and embroidery! Thank you! 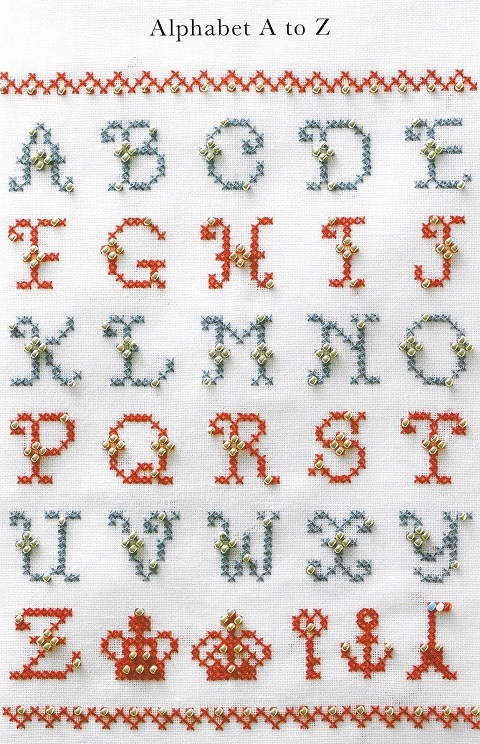 These stitches look so delicate and pretty! What a good looking book to add to your library. This reminds me of the stitches that I learned as a young girl when decorating pillowcases. Would love to win this book. I just started bead embroidery and am obsessed! My first project is challenging and I didn't slow down enough to practice some basic stitches. I've been eyeing this book and would use it every day! Thanks for posting this review - this sounds like exactly the kind of book that I have been looking for. Thanks for the chance to win such a helpful (for me anyway!!) book!! Appreciate it. Thank you, would love to win this book. This book would be a great addition to my library. I like the idea of doing more delicate bead embroidery rather than the dense "fill up the entire background" style that is lovely, but takes a long time to do & can be heavy. Pearl, as always, thanks for all the work you do for the beading/jewelry community via your blog & Facebook page.